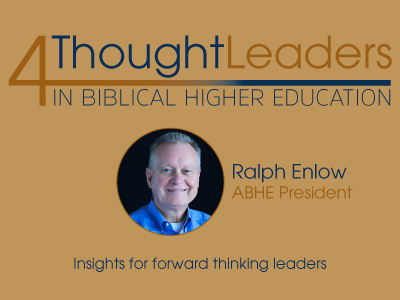 Introducing 4ThoughtLeaders from ABHE President, Ralph Enlow. From the well of his four decades of educational and leadership experience, Ralph blogs on Bible engagement and Bible-centered leadership. His posts will help you think forward about biblical higher education, leadership, biblical edification, and biblical perspectives on contemporary issues and events. This blog will provide useful tips for driving enrollment through marketing. Bart is a trusted friend and partner of ABHE. With a background in design and development, he consults clients on marketing for education. 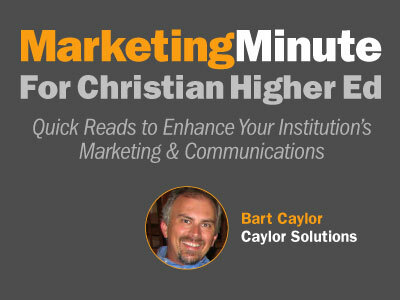 Bart is founder and president of Caylor Solutions. This weekly blog will focus on insider information you need to stay abreast of government regulations related to higher education. Dave Moja, a high-capacity partner with ABHE, will be your blogger. 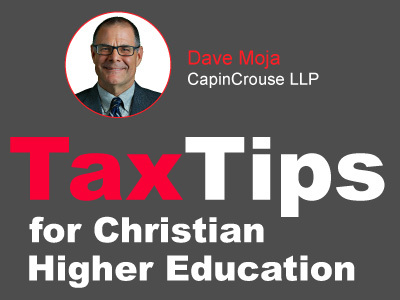 Dave is a National Director of Not-for-Profit Tax Services for CapinCrouse. Want to raise the bar to increase employee performance? This blog encourages focus on high-performance human resources practices to boost your organization to new levels of achievement. 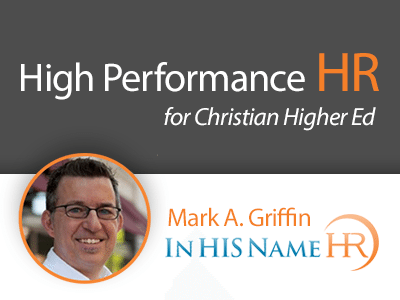 Mark A. Griffin, Founder In HIS Name HR an accomplished author and HR professional, with over 25 years experience with high-performance organizations, shares his inspirational message to help you do just that.